While they last, we have a limited number of White door clubs. You wouldn't park your car without the security offered by The Club® anti-theft device. So why spend another night at home without The Door Club® Home Security System? The Door Club® is a revolutionary home security device. The Door Club® is one of the strongest anti-burglar devices available, far superior to chain locks and deadbolts. The Door Club® can take it! Once installed, the Door Club® helps prevent burglars from kicking the door in, and keeps you safe and secure. The Door Club® comes complete with all necessary hardware to effectively secure any door in your home. 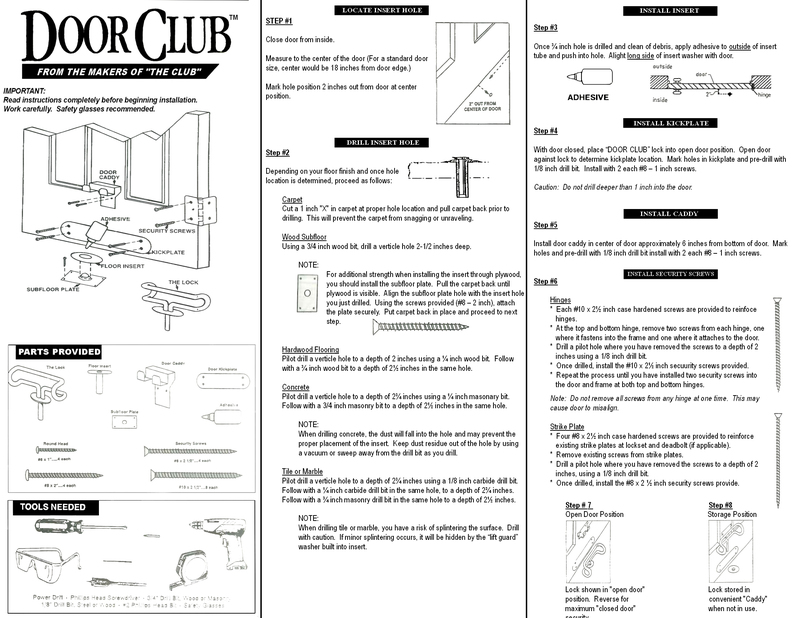 The Door Club® is also an attractive accessory to your door - available in brass and white.